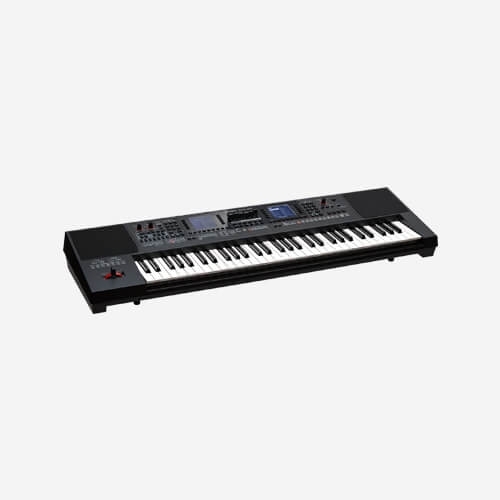 The Roland Expandable Arranger - Arabic Keyboard E-A7 is a versatile arranger keyboard for musicians needing professional sounds and authentic backing styles from all over the world. 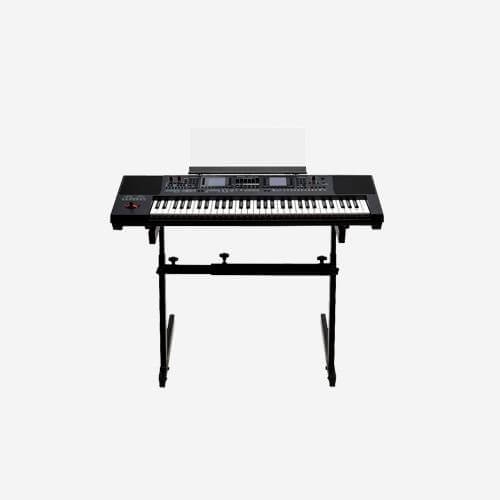 Using the Roland Expandable Arranger - Arabic Keyboard E-A7 is fast and intuitive thanks to its logical dual-screen layout; styles on the left, and sounds (over 1,500 of them) on the right, with most options having dedicated, quick-access buttons. You can import WAV files to create your own instruments or even sample directly from the keyboard. 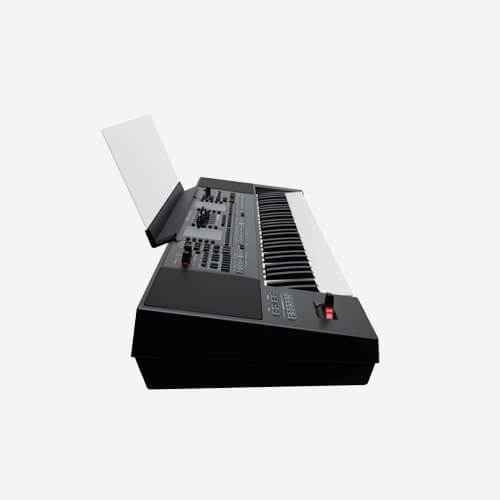 Singers will appreciate the microphone input with dedicated vocal effects while the whole keyboard is easy to gig with, weighing in at just 8kg. Wherever you’re going with your music, the Roland Expandable Arranger - Arabic Keyboard E-A7 will help you get there. While the Roland Expandable Arranger - Arabic Keyboard E-A7 excels at Western music, it’s equally strong for music from other parts of the world too, with a generous array of global backing styles crafted by skilled musicians from Asia, the Middle East, Europe and South America. It doesn’t matter where in the world you play it – the Roland Expandable Arranger - Arabic Keyboard E-A7 will fit right in. 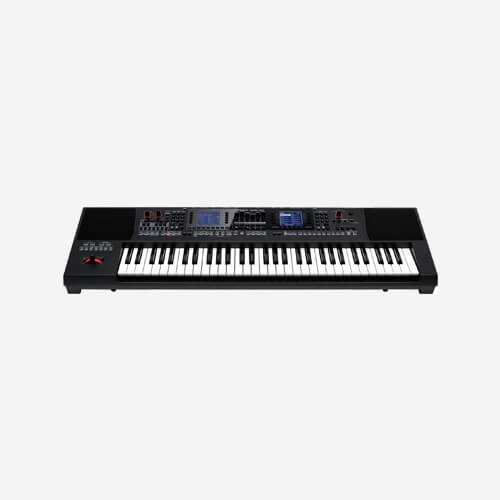 The Roland Expandable Arranger - Arabic Keyboard E-A7 offers over 1,500 essential sounds including piano, electric piano, organ, string, brass and many more. There are instruments from all over the world too, including authentic sounds from the vibrant musical cultures of the Middle East, Indonesia, India, Vietnam, and Eastern Europe. Every sound has been developed in collaboration with accomplished musicians, each one an expert in their local music scene, for the utmost realism and quality. And since the sounds are categorized by region, you can find the perfect sound for your music quickly and easily. The 1,500 built-in tones of the Roland Expandable Arranger - Arabic Keyboard E-A7 are just the beginning. Most gigging musicians have collected a library of tried-and-tested samples over the years – and you can use them in the Roland Expandable Arranger - Arabic Keyboard E-A7 thanks to the WAV import option. But you can also use the onboard sampling function to create custom sounds too, including drum beats or even backing vocals. Everything you need to polish the sound, including applying effects, is already on board so you can arrive at the gig, try out ideas at the sound check, and perfect your sound before the show starts. Some arranger keyboards include a lot of functions, but this can make them complicated and difficult to use – not ideal when you’re in front of a crowd of people expecting a great night out. 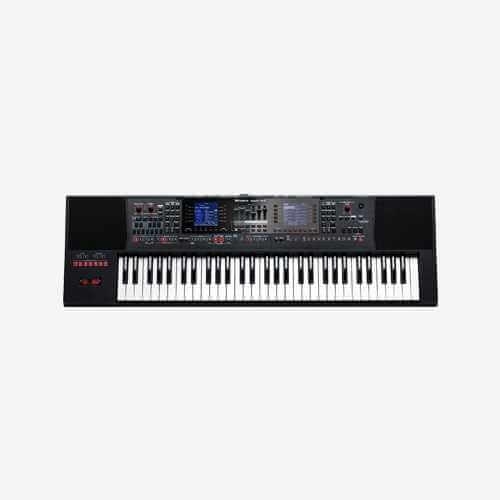 The Roland Expandable Arranger - Arabic Keyboard E-A7 is logically laid out, showing backing styles on the left and sounds on the right, and each side has its own LCD screen showing the essential information. And with 156 buttons for fast access to the functions you use most, you’ll spend more time playing and less time panicking about finding the right button. 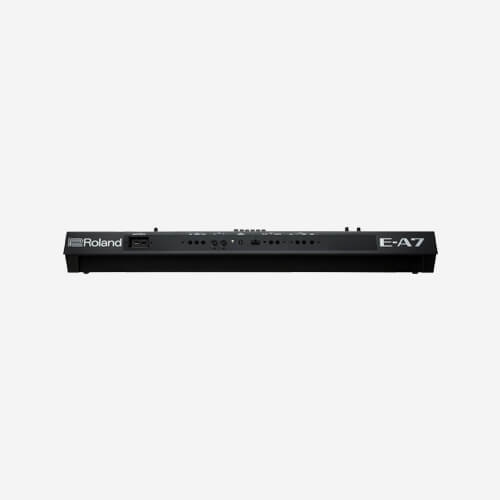 When you’re at a gig, you just need things to work, so the Roland Expandable Arranger - Arabic Keyboard E-A7 gives direct access to the most common functions needed when you play. Six phrase pads trigger one-shot audio samples or MIDI phrases just where you need them. You can define and switch to alternate musical scales at the touch of a button. There are also six sliders that can adjust the volume of the various parts, such as drums, bass and the accompaniment. Finally, there are seven user-assignable buttons above the pitch bend lever for your own custom requirements, so whatever you need to do, you can do it right away without lifting your hands off the lever. If vocals are an important part of your repertoire, the Roland Expandable Arranger - Arabic Keyboard E-A7 has a microphone input along with dedicated volume controls on the front panel; just turn the knob to instantly adjust the vocal level, with no menus in sight. You also get an array of pro-grade vocal effects to add polish to your performance, with a versatile selection of editable reverbs and delays on board. Although it’s great to bring everything you need to the gig, carrying a heavy keyboard is, quite literally, a pain. The Roland Expandable Arranger - Arabic Keyboard E-A7 makes life easy for gigging musicians in two ways – it’s got everything necessary for a great performance so there are no extra boxes and wires to drag you down, and yet it’s also easy to transport to and from the show. 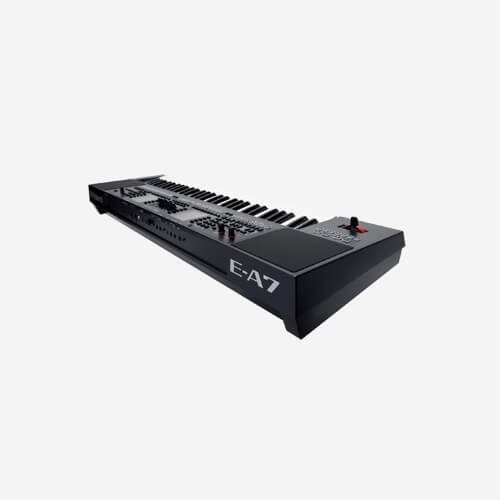 Packing a lot of power into a compact 61-key format weighing just 8kg, the only pain you’ll get from the Roland Expandable Arranger - Arabic Keyboard E-A7 is having to do yet another encore. Which is a good problem to have. The Roland Expandable Arranger - Arabic Keyboard E-A7 onboard song player reads Standard MIDI Files (SMF) as well as WAV or MP3 audio files. Comprehensive playback options allow you to repeat a section of the song or jump to a different section, and if you’re using WAV files you can minimize the presence of any vocals using the Centre Cancel feature, leaving space for your own voice. You can even record your entire performance as a WAV file and save to USB memory – a great way to promote your music and get more bookings. Since the Roland Expandable Arranger - Arabic Keyboard E-A7 has plenty of buttons and sliders, most of the ‘must-haves’ are already at your fingertips. You can also store a variety of settings within a single program, including the on/off status of essentials like Part, Auto Fill and Input EFX. This extra layer of control means you can easily customize the keyboard’s setup for each song during the gig. Programs from Roland’s BK arranger series can also be accessed directly from a USB memory stick. Multisample Function Yes * Samples and multisamples can be exported to USB Flash Memory as User Tone or User Drum Kit. * Samples and multisamples can be used as wave data for the sound engine. User Scale Buttons - Instant quarter-tone tuning of each note of a scale (C–B) - Adjustable tuning range (-64–+63 cent) for each button - Tunings can also be saved to User Program memories. Pads 6 pads for triggering phrases and tones and Stop Pad * Phrases are tempo-synchronized with Styles or SMF, and support for chord detection. Options (sold separately) Keyboard Stand (*1): KS-18Z Pedal Switch: DP series, FS-5U Expression Pedal: EV-5 USB Flash Memory (*2) *1 When using the KS-18Z, ensure that the height of the unit is one meter or lower. 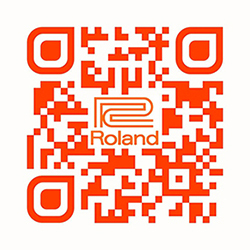 *2 Use USB Flash Memory (supports USB 2.0 Hi-Speed Flash Memory) sold by Roland. We cannot guarantee operation if other products are used. Weight (excluding AC adaptor and music rest) 7.9 kg 17 lbs. 7 oz.